Genetic epidemiology is an important discipline that is helping to unravel the aetiology and pathogenesis of complex human diseases. 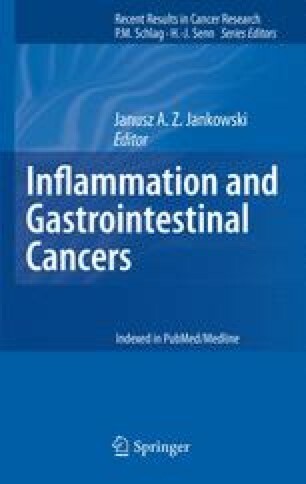 In the context of gastrointestinal malignancy, the paradigm model of host genetic influence on disease outcome is H. pylori-associated gastric adenocarcinoma. This cancer represents a classic example of an inflammation-induced malignancy and highlights the importance of host genetics in disease development. This chapter gives an insight into how genetic epidemiology can play an important role in the development of gastric cancer. Increasing our understanding of host genetics in cancer development may allow particularly susceptible individuals to be targeted for screening or treatment to reduce risk of future malignant transformation.